Hose Socket offered to come in precision designed & constructed finish and are made available under head mold couplings. These sockets allow achieving symmetrical quick connection without male/female threads, thus making them suitable for making the connection to re hoses. Further, the use of superior grade alloy finish also makes these provide for longer service life, corrosion proof usage as well as maintenance-free performance. Some of its features include allows usage as symmetrical quick connection socket; socket has no female and male part and allows for easy use while connecting to hose ends and others. Since 1989, we Perfect Engineers are counted among one of the leading manufacturers, suppliers and exporters of Single & Double Check Valve Couplings, Ball Valves and Coupler Hoses. 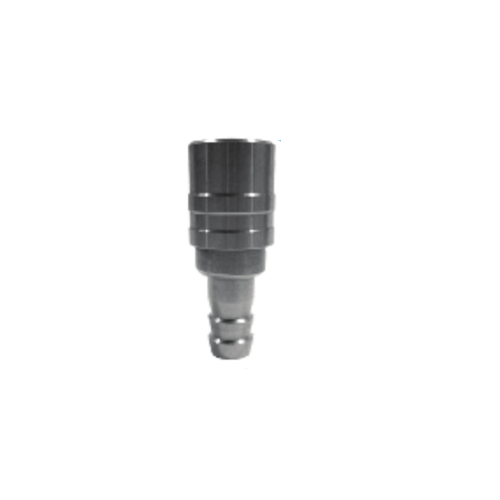 The range offered by us encompasses Double Check Valve Quick Release Coupling, Cam Lock Quick Release Coupling, Camlock Coupler, Camlock Adaptor and Hi Coupler Plug. Additionally, we offer our clients Male Plug, Female Plug, Socket Hose, Plug Hose, Double Check Valve Coupling and many more products. The products offered by us are designed and developed by the professionals using premium grade raw material that are sourced from trusted vendors of the market. These products find their applications in petrochemical, sugar, oil & gas and cement industries. We are a quality-centric organization, which focuses in providing the maximum contentment to the patrons. In order to meet the needs of our esteemed customers, we offer these products in variegated sizes, dimensions, specifications and standards. Moreover, our professionals ensure that only defect-free products are delivered at the clients' end within the promised time. Owing to the ethical business policies and customer-centric approaches, we have been able to spread our wings across the markets of Indian Subcontinent, Middle East, East Asia and South East Asia. To meet the requirements of international customers, we export 20% of our stock.